5 devices to look forward to at Mobile World Congress 2017 | What Hi-Fi? Next week sees the world's biggest mobile phone conference take place in Barcelona. Here's what we're looking forward to. Mobile World Congress is the world's biggest mobile phone conference - every year, it's a launch pad for the best phones from the biggest manufacturers. And this year promises to be bigger and better than ever. LG is set to unveil a smartphone with a unique screen, Samsung will show off a new tablet, and Nokia is rumoured to be relaunching the classic 3310 dumbphone - that's right, the one that ran Snake. We'll bring you the biggest news as it breaks. In the meantime, here's what to expect. This is one of the most highly-anticipated smartphones of the year but, considering how much LG has told us about it before the launch, there's not a lot left to reveal. 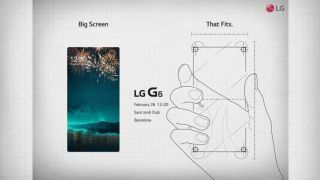 It'll have a unique 18:9 aspect ratio which, LG claims, will let you multitask with two perfectly square windows side by side. From the look of its promo, it might borrow elements from the tile-based user interface of Windows 10 Mobile. That screen will span almost edge-to-edge as well, with only a very thin bezel. Also onboard is an upgraded quad DAC - basically a beefed up version of the one found in the LG V20. LG claims this will provide superior sound. Otherwise, the phone will be water- and dust-proof, and come cloaked in a metal body - which should make it more hardwearing than its plastic rivals. On the software side of things, Android 7.0 Nougat is a dead cert. Oh, and LG is expected to drop the modular design it pursued with the LG G5 - this let you plug in add-ons like an external DAC, for example. But it was criticised for the fact you had to turn the phone off in order to swap in a module. Motorola's Moto G has consistently been one of the best budget smartphones around, combining decent specs with a rock-bottom price. And it looks like the Moto G5 and G5 Plus will offer more of the same. According to specs leaked to Droid-Life, the Moto G5 will boast a 5in 1080p Gorilla Glass screen, Android 7.0 Nougat and 2GB of RAM. On imaging duties are a 13MP main camera and a 5MP selfie snapper. The only differences between it and the Moto G5 Plus? The G5 Plus has a 5.2in screen, 64GB of storage (to the G5's 32GB) and a 3,000mAh battery (to the G5's 2,800mAh). Curiously, the Moto G5 Plus only has a 12MP camera to the G5's 13MP. But the G5 Plus' Dual Autofocus Pixels should make it the superior snapper. Of course, we don't yet know the all-important price. But if Motorola can nail it as with previous models in the range, it could have a hit on its hands. Huawei might not be a household name on these shores, but it's huge in its native China. It made a name for itself by making decent handsets that don't cost the earth. The P10 and P10 Plus are its latest. In keeping with manufacturers like LG, Huawei teased the forthcoming phones in a video clip on YouTube. As you can see, it doesn't give much away, but does confirm we'll see both phones unveiled on Sunday 26th February. As ever, the internet rumour mill has been churning. A 2560x1440 5.5in screen is thought to be the order of the day, along with some rather fetching gold, purple, green and blue colour schemes (which might be what the video is referring to when it says "Change the way you see colour"). Expect the P10 Plus to be slightly bigger than the standard P10. But we'll know for sure on Sunday. Perhaps the biggest news of the show is that the Samsung Galaxy S8 won't make an appearance. Samsung has said it will reveal its next flagship phone at a separate event some time after Mobile World Congress. But it will announce the launch date at MWC. Sort of an announcement of an announcement, then. In its place will be the Galaxy Tab S3. As this picture - courtesy of Evan Blass again - shows, it looks very similar to the Tab S2, complete with its iPad Pro-style chiclet keyboard. It's rumoured to work with the Samsung S Pen stylus, have a fingerprint scanner and home button, and to use USB Type-C connections. That's thought to be a 9.6in AMOLED screen, and inside is a Snapdragon 820 processor that partners with 4GB of RAM. Which should make for blistering performance. It too will be revealed on Sunday. Seriously, the handset du jour of the early noughties is coming back. According to rumours, HMD - the company that now licenses and sells Nokia-branded phones - will announce a modern take on the classic phone at MWC. Details are pretty scarce at the moment, but word is that Carphone Warehouse will be the exclusive UK stockist, with the handset retailing for around £50. There's no word on what - if any - modern features it'll have, or even if it'll still play Snake. We can but hope.